Meditation is being touted as a cure all for stress, stomach problems, anxiety, and just about everything else. The problem is - and I say this as a self confessed meditation dropout - I never seem to find the time to practice it. 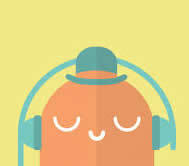 Headspace changes that, presenting itself as "a gym membership for the mind." And like a gym membership, it will cost you: $12.95 a month, or by a one year membership (equates to a monthly fee of $7.95. Not sure about your commitment? Download the app and try it for free. And find out more by watching the video.